The girls� Burton Whiply Bomber Jacket is perfect for staying warm and dry on-hill and looking awesome around town. 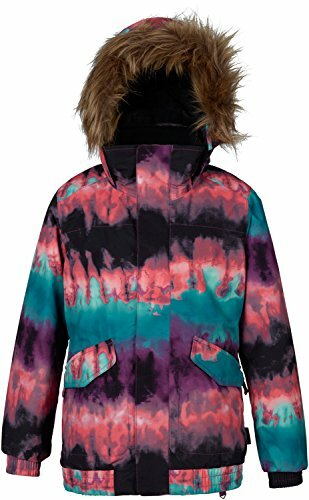 One of the warmest girls' winter jackets you'll find anywhere, it zonal maps high levels of low-profile Thermacore� insulation around the body to keep you toasty as a hot cocoa by the fire (minus the marshmallow feel). Room-To-Grow� sleeves extend to keep up with growth spurts and the hood expands, too, for helmet-friendly compatibility.